In a California case closely followed by the commercial real estate industry, the California Supreme Court ruled that all agents who work for the same broker company in a commercial property transaction have a fiduciary responsibility to both the buyer and the seller. The case reveals a standing problem with commercial real estate lease negotiations that are conducted in places like Tucson. The issue in Horiike v. Coldwell Banker Residential Brokerage Co. had to do with the fiduciary responsibilities of dual agency representation in property transactions. In commercial real estate lease or purchase transactions, dual agency occurs when one real estate company, often called a broker, represents both the tenant or buyer and the landlord or building owner. It’s not uncommon for one broker to represent both a landlord and a business owner in a transaction for a Tucson office, retail or industrial lease. Sometimes a dual agency situation consists of one individual on both sides of the negotiations. Other times it occurs when one agent of a broker represents the landlord while another agent of the same broker represents the business owner. When you use a dual agency, there is a question as to where the broker’s or agent’s loyalties and duties truly lie—with you the business owner or with the landlord. It’s not always clear. A professional services firm that occupied 15,000 square feet of office space was approached by a real estate broker and his client, the landlord, of the building the firm was leasing. The tenant agreed to take a look at the proposed contract. At this point, the broker became a dual agent, representing both the landlord and the tenant. The dual agency broker deceptively promised the tenant that it would save the cost of a commission paid to a broker for the tenant and that the savings would be reflected in reduced rent. Actually, the commission is paid by the landlord. In a dual agent situation, one broker gets the commissions that would be paid to both the selling and the leasing agents. We at Commercial Real Estate Group of Tucson, which exclusively represents tenants in commercial real estate lease and purchase negotiations, contacted the tenant and offered to review the landlord’s terms. The proposed rent was $4 per foot higher per year than recent new deals we had finalized in the same building. The landlord wasn’t going to change the tenant’s base year for operating expenses. The tenant would pay an extra 40 cents per square foot per month in expenses, an increase that would have continued for another 10 years. The apparent conflict of interest in dual-agency representation was reflected in the California case, which deals with a residential property transaction. Buyer Hiroshi Horiike used a Coldwell Banker agent to locate a home for purchase. The home he bought was listed by a Coldwell Banker agent in another office. After Horiike bought the home, he discovered the square footage was less than advertised. Horiike sued, saying that since the agent representing the buyer and the one working for the seller were employees for the same broker, they both had a fiduciary responsibility to determine the true facts of the home square footage and disclose that information. Coldwell Banker countered that since each agent worked out of separate offices, the agent for the seller did not have a fiduciary responsibility to Horiike and therefore did not make the agent and the broker liable for the misrepresentation. The court, however, determined in November 2016 that the broker itself held this duty through its agent, or associate licensee, who represented the buyer; therefore, all of its agents, including the one for the seller, had a duty to the buyer. Dual agency representation is legal in Arizona. Some states prohibit it and others have different laws governing it. In Arizona, brokers are required to get informed written consent from both parties that they can service as dual agents. This agreement tells the business owner that conflicts regarding loyalty, confidentiality and disclosure will exist. We find this arrangement, even with this disclosure of conflict of interest, greatly reduces your confidence that the dual agent, whether a single person or agents from a single broker, is working as hard for you as it may be working for its other client, the landlord. And our experience is that tenants are caught unaware that dual-agency representation can cost them in the long run with higher rent and more overhead costs. A broker who has a listing on a building has a fiduciary responsibility and contractual obligation to the landlord, whose goal is to get the best possible lease from a tenant. Your goal is to get the best possible commercial real estate lease for your business. 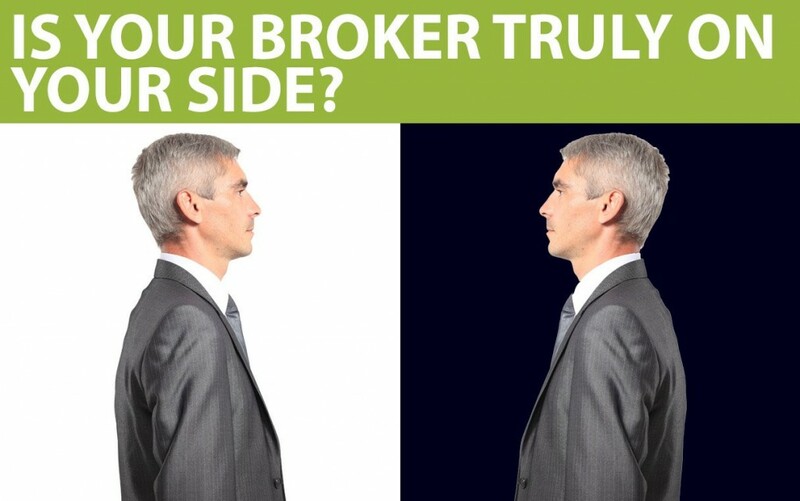 Can a dual-agency broker fairly and adequately represent both sides? Defendants argue that charging associate licensees with the same duties as their brokerages would force salespeople “into dual agency with buyers and sellers whose interests inherently conflict,” requiring them to breach their clients’ confidence and harm their clients’ interests. Why take the risk of dual agency representation? As tenant representatives, we always work for only one side, yours as a business owner looking to buy or lease commercial real estate.